Manjit Sekhon's LinkedIn article introducing the Declaration, which begins, "You know how sometimes core empowering truths arise out of painful experiences? 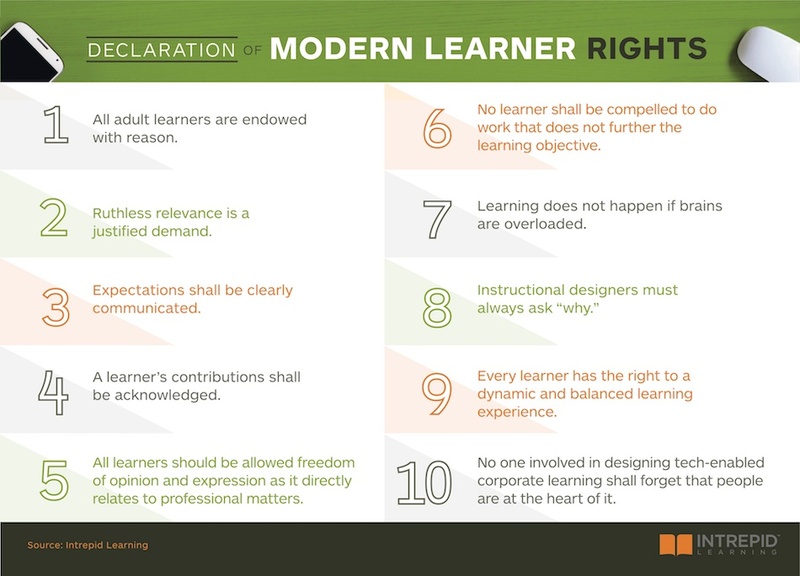 This is how Intrepid’s brand-new Declaration of Modern Learner Rights came to be." "The Case for Ruthless Relevance" by Elizabeth Pearce, which argues that "Cutting corners on relevance doesn’t just take the wind out of your sails; it makes you dead in the water." "Ruthless Relevance Puts Reg CC in Context" by Judy Albers, a vibrant real-life example of how ruthless relevance helped Capital City Bank's onboarding program be super-successful. "5 Ways to Lower the Barriers Between Your Learners and Learning" by Manjit Sekhon, with the five things you need to communicate to your learners and some real-world examples of the same. "What to Worry About When Moderating, and What Not to Worry About!" by Catie Bull, which delves into ways to keep the learning experience dynamic for learners without being burdensome for moderators/course leaders. "3 Great Reasons to Use Discussion Forums" by Summer Salomonsen, a video in which she lays out the reasons which should make you comfortable with using discussion forums in an online learning experience, even if the whole idea makes you or your organization nervous. "The AGES Model and More Cognitive Science" by Judy Albers, a rich list of further resources regarding the brain science behind effective online learning design because, as the Declaration says, learning does not happen if brains are overloaded. 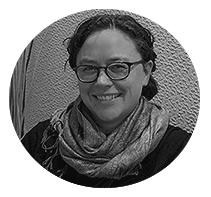 "Ways to Ask Why and Why You Need To" by Summer Salomonsen, a video in which she lays out different ways to ask "why" when designing online learning, particularly with a team. "People, People!" by Catie Bull, a reminder of both Declaration #10's importance and the crossover between marketing and L&D's work. "Declaration of the Modern Learner Podcast" by Manjit Sekhon, a Brandon Hall HCMx Radio interview talking about the Declaration and its impact on not just learning design but business results all up.